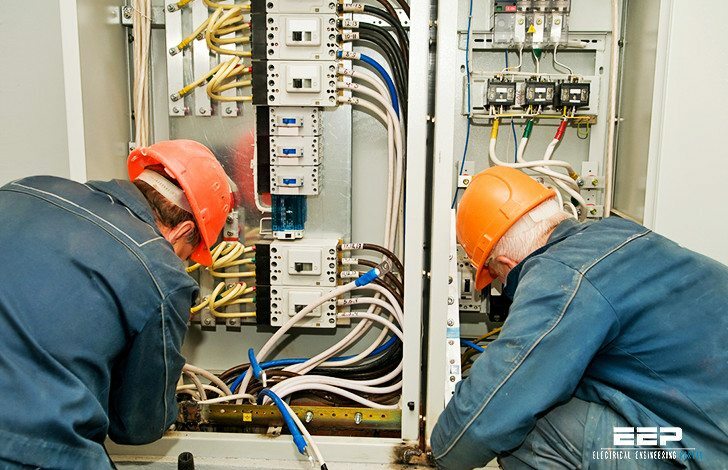 The electrical design industry has historically required electrical system circuit breaker selections and settings be validated with a short circuit and coordination study performed by a licensed engineer. These studies assure that circuit breakers are capable of interrupting the available current and would operate “selectively”. 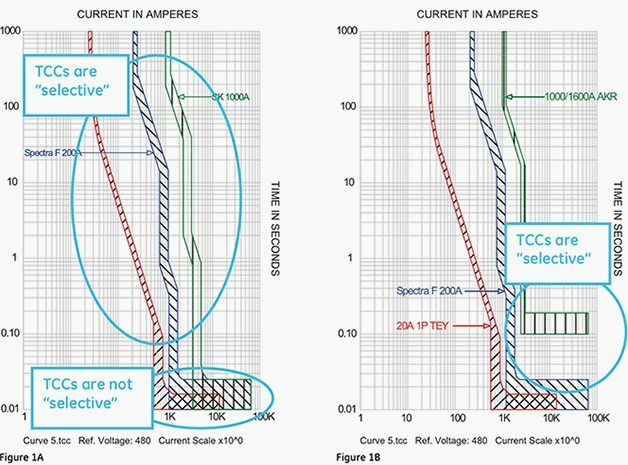 Traditionally, “selectivity” in a low voltage electrical system meant that the long time and short time portions of time-current curves (TCCs) would be selective, i.e. the circuit breaker closest to the fault would trip first, maximizing the amount of the electrical distribution system left in service. In most cases, the circuit breaker instantaneous overcurrent (IOC) TCCs would not be selective “on paper,” as they typically overlap. In Figure 1A, there is no “instantaneous selectivity” apparent on the TCC, as the instantaneous portion (below 0.1 seconds) of the curves show all three breaker characteristics overlapping. The long time and short time characteristics (above 0.1 seconds) do not overlap and are therefore selective. In Figure 1B, the 1600 amp AKR and Spectra F200 circuit breakers are selective, as the instantaneous function of the AKR is not used, so there is no overlap of these two characteristics. Traditionally, selectivity between molded case circuit breakers (MCCBs) and insulated case circuit breakers (ICCBs) was considered effective, even if there was an overlap of TCCs in the instantaneous region. The most prevalent type of fault, the line to ground arcing fault, often limits the fault current magnitude enough that the upstream circuit breaker IOC function does not operate. If the fault is removed promptly, the likelihood of it escalating into a multi-phase, bolted type fault is very low. As a result, for a large majority of faults, the traditional long time, short time selectivity has been sufficient to produce selective operation of circuit breakers.